Shall we talk about human rights? It’s not that Recep Erdogan is going to change his ways if Marie Louise Coleiro Preca tells him to. And it’s not like expecting her to tell Recep Erdogan that Malta stands for human rights, free expression and the rule of law is a realistic prospect in this universe. After all she could be telling that to Joseph Muscat and look how far that got us. I am not naive enough to think international diplomacy has any real moral impact anymore especially if conducted by a little country like ours. But Marie Louise Coleiro Preca’s speech at the end of her meeting with the Turkish proto-dictator reminds us of so much we have lost. She told him Malta continues to support Turkey’s bid for membership of the EU. That phrase there is so anachronistic. There was a time when Turkey was serious about its aspirations to join the Union. Much of the rest of Europe was far less keen. But that wasn’t just a plan for an open economic and social space. It was also the hope for an irrevocable consolidation of Turkey’s transformation from a military polity to an open democracy with enshrined respect for human rights. The guarantee that European Union membership promised its citizens of protected, unassailable democratic rights is a faint memory now. We used to marvel at the experience of Portugal, Spain and Greece that emerged from dictatorships and matured as democracies within the European family. Their example was held as the strongest argument for enlargement to include former Soviet republics and satellites and Malta — itself a democracy emerging from Socialist ambiguity. Clearly that guarantee of a democratic eternity does not cash out on demand. Hungary and Poland and Malta’s democracies are dissolving. Italy — a founder of the EU — is flirting very dangerously with authoritarianism. EU membership is no longer a promise of guaranteed human rights for Turkish citizens. In any case, the aspiration of Turkey to be a confirmed democracy is also a wistful memory. As Pelin Unker — an investigative journalist sentenced to prison for investigating money laundering into Malta by the family of a powerful Turkish politician — put it in a message to the last Truth and Justice vigil in Valletta, Turkey is now the world’s largest prison for journalists. The silencing of free press in Turkey is the foreground of flagrant human rights abuses and corruption at the highest political level. 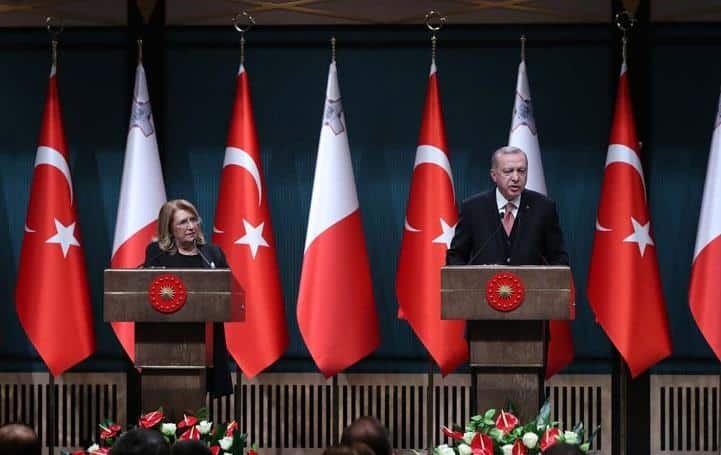 Marie Louise Coleiro Preca told Recep Erdogan Malta and Turkey should cooperate on financial services, blockchain technology and construction. She mentioned other sectors of course but I’m picking these one out for effect. 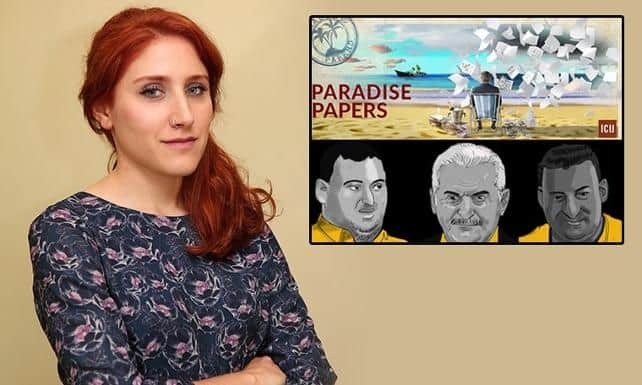 Pelin Unker told Maltese journalists and civil society activists that there should be cooperation with their Turkish counterparts as the corruption of one regime relies on the accommodation and corruption of the other. Only the shared effort to uncover the truth can keep the effort to protect human rights and freedoms viable. I know where I’d rather be.